"Reality" shows are not new to television. I've written about Allen Funt's Candid Camera as one of the first reality shows. 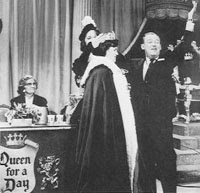 Another early reality show was Queen for a Day, a daytime "game" show that originated on the Mutual Radio Network in 1945 in New York City. The radio version was first titled Queen for Today and was hosted by entertainer and author Ken Murray. It moved to Los Angeles and was broadcast simultaneously on radio and television in the Los Angeles area on the Don Lee Network from 1948 until 1955. 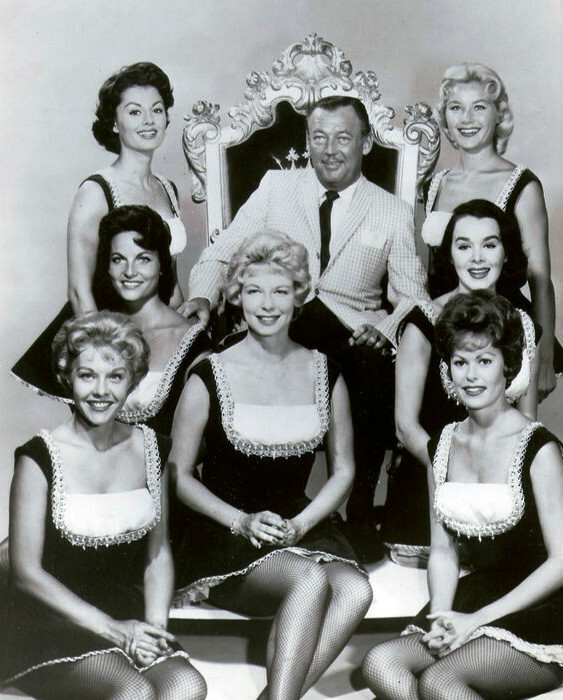 Queen for a Day made its national television debut in 1956 on the NBC network. In September of 1960, it moved to ABC where it ran until 1964. The program was hosted by Jack Bailey, a one-time vaudeville musician. During the opening sequence of each show, Bailey would point directly at the camera and bellow, "Would you like to be Queen for a Day?" The mostly female audience applauded wildly. Queen for a Day billed itself as "the Cinderalla show." Its premise was quite simple and rather reprehensible to many. Four women would tell their stories to Bailey and indicate what gift they would like and why they needed and deserved it. Their stories were usually (but not always) tales of woe and misfortune. Many of the women would deliver their speeches tearfully, hoping to garner enough sympathy to be crowned "Queen." Of course, Jack always had a handkerchief ready to wipe away the tears. The prizes requested were frequently household appliances such as refrigerators or a washers and dryers. Some contestants asked for vacations while others required medical equipment for a severely ill child. Once in a while, however, the wishes were more unusual or exotic. During one episode of the show, a woman asked for an electric eel. On another episode, a contestant expressed a desire for world peace. After Bailey had interviewed all four contestants, the winner was determined not by Twitter, but by the audience's "applause meter.". The woman who related the sorriest tale of misery was usually declared the winner. Jack would then crown her "Queen for a Day" to the strains of "Pomp and Circumstance." She would be draped in a velvet robe and handed a bouquet of long-stemmed roses as she took her place on a throne. The new "Queen" received much more than what she had requested. She was showered with a plethora of prizes, most provided by the program's sponsors. Models were bedecked in fashionable attire that was gifted to the winner. At the end of each show, Bailey would sign off with "This is Jack Bailey, wishing we could make every woman a queen, for every single day!" Queen for a Day was universally condemned by critics at the time for shamelessly taking advantage of human suffering. They lambasted the show for exploiting women in order to sell products on television and increase ratings. Indeed, Queen was so full of advertising that it can be described as one long commercial. Susan J. Douglas, a contemporary feminist academic and writer, has dismissed the show as "a monument to the glories of female martyrdom and victimization." American comic book and television writer Mark Evanier has also denounced the show as "tasteless, demeaning to women, demeaning to anyone who watched it, cheap, insulting and utterly degrading to the human spirit." is significant in so far as it is a repository of the voices of the women we rarely hear, women whose concerns were not reflected in the popular cultural forms of the 1950s. The contestants who populated Queen were primarily working class and lower middle class women, women who in some cases were barely living above a subsistence level." Although panned by critics, Queen for a Day attracted a large television audience during its heyday. In fact, it had the highest ratings of any daytime show on American TV with millions of viewers. * Jack Bailey passed away in Santa Monica, California on February 1, 1980. He died in hospital of complications from pneumonia. He was 72 years old. * Born John Wesley Bailey III in Hampton, Iowa on September 15, 1907, Bailey's parents hoped he would become a Methodist minister. Young John took a liking to music instead and learned to play several instruments. He attended Drake University in Des Moines and studied acting during his years at college. 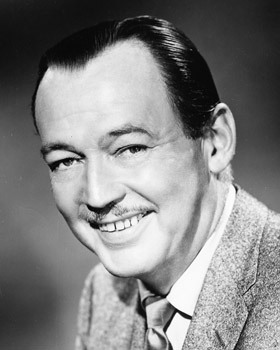 He became involved in radio broadcasting during the late 1930s. * In 1933, John Bailey was a pitchman for a marionette show at the Chicago World's Fair. * Bailey was a voice artist and once provided the voice of Goofy in the old Warner Brothers cartoons. * For a time, Bailey hosted Truth of Consequences at night while hosting Queen for a Day in the afternoon. * Jack Bailey was an alcoholic who joined Alcoholics Anonymous around the late 1940s. In a 1974 Associated Press story, he was quoted as saying he hadn't had a drink since October 8, 1948. He stated, "I drank because I liked to drink. The tendency certainly wasn't inherited because my mother was Iowa state president of the Women's Christian Temperance Union." * According to his obituary in the Los Angeles Times, Bailey once estimated that he had given away $23 million in merchandise prizes during his years hosting Queen for a Day. * None of the contestants on Queen for a Day walked away empty-handed. The non-winners received lesser prizes. * At the peak of its popularity, there were Queen for a Day clubs across the United States. * After Queen for a Day was cancelled by ABC in 1964, Jack Bailey concentrated on acting. During the 1960s, he was a guest star on many popular TV series such as Mister Ed ("Ed the Stowaway," Season 5, Episode 12, Air Date: February 17, 1965); Green Acres ("Never Trust a Little Old Lady," Season 2, Episode 14, Air Date: December 28, 1966); I Dream of Jeannie ("There Goes the Bride", Season 2, Episode 27, Air Date: March 27, 1967) and Gunsmoke ("Noose of Gold," Season 12, Episode 24, Air Date: March 4, 1967), ("A Matter of Honor," Season 15, Episode 9, Air Date: November 17, 1969). During the 1970s, Bailey appeared on The D.A. (1971); Emergency (1973); Policy Story (1974) and Apple's Way (1974). * Very little footage of Queen for a Day survives and only a handful of complete episodes. Some episodes, particularly from the 1960s, are available on DVD. 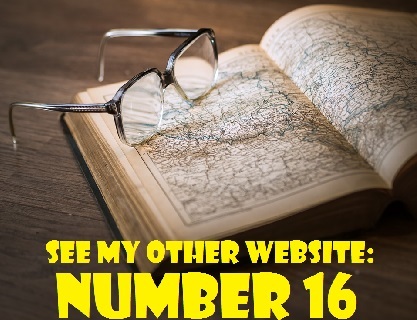 To view a 1960s episode of the show, click on the link below.